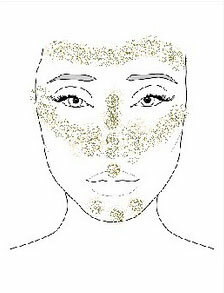 "Easy-to-follow tips, by one of Canada's top makeup artists, for a fresh & beautiful wedding-day glow".. 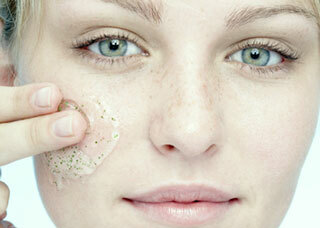 The morning of your special day, start with a gentle exfoliant to freshen and liven up your skin. Moisturize (with your usual product) then follow-up with a primer and an anti-shine lotion. This will help keep makeup looking fresh and reduce excessive shine. 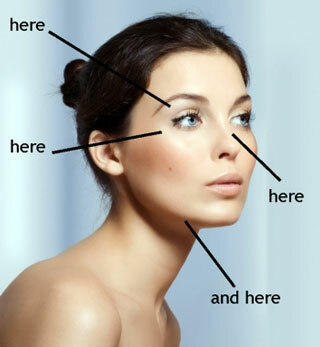 Foundation is really important to even out your skin and to help you look picture perfect. The right colour, texture and amount will make your skin look gorgeous. Make sure to have a professional pick out the colour and formula for you. Use a foundation that has silicone in it and is sweat-proof and waterproof so that it stays put. Always apply it with a brush. For dry skin, spray the brush with a hydrating mist. 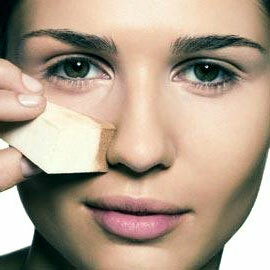 Don't pile it on; use about a pea sized drop and spread it out starting from the centre of your face going outwards. Make sure to apply it over your upper and lower eyelids too. Add a little illuminator to your foundation for a gorgeous glow. Just a drop is fine. How? Mix 1 part of illuminator to 3 parts foundation to give your skin a beautiful, glowing finish. If you like a fresh, rosy and light look, the illuminator should be pinkish in colour. For tanned, glowing skin, try a bronzed coloured one. Use a silicone based foundation that is up to 3 shades lighter to conceal circles, brighten your eyes and bring out your bone structure. This is called highlighting. Apply it over the tops of your cheekbones, on your apples, inner eye area, brow bone, along the upper lip line and onto the centre of your nose and chin. Avoid the ball of your nose because it will look too big on camera if it's highlighted. Also, if your chin is on the larger side, don't apply the highlight there either as it can make it look larger on camera. Highlighting is magic when done right! 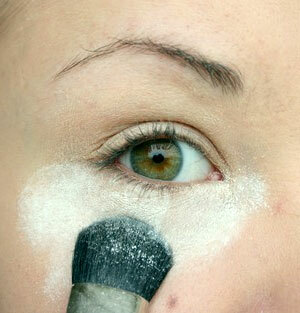 Use a little colourless translucent powder to lock everything in place. Dip a small brush into your powder, dust off the excess and press the powder onto your eyelids (upper and lower), nose chin, and forehead. Avoid the cheek area for now. Why? If you want to look rested, fresh and youthful, blush is a must. For professional results and a lasting finish, blush textures should be layered. 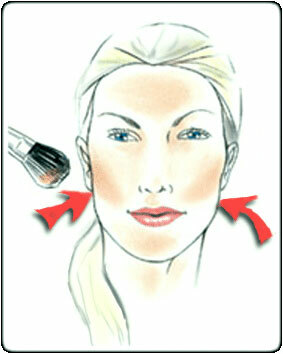 Step One: cream or gel (stain) blush is applied to the apples of your cheeks first. The formula and colour that you choose depends on your skin tone and type, and the time of year. Drier skin is best with cream, and a gel stain holds up better in humid weather. If you're not sure about colour, seek the help of a professional makeup artist. Step Two: Set your cheek area with colourless translucent powder after you've applied the cream or gel colour and then follow up with a little powder blush. The powder and the cream or gel colours should all be the same. You can use a shimmery powder blush if you'd like a little more glow. Apply a little bronzer just slightly warmer than your skin tone for the most natural looking results. Why? Bronzer gives a little colour boost and adds dimension to the face. It's also great for chiseling cheekbones and jaw lines. Add a tiny bit of shimmery highlight powder. Why? You'll look angelic, fresh, and you'll give J.Lo a run for her money! How? Apply it with a small brush along the outer corner of the eyes along the upper cheekbone as well as under the arch of the eyebrow, the inner eye corner, along the bridge of the nose (avoid the tip) and along the centre of the upper lip. Make sure to blend well so you don't leave any tell tale edges. Finish with a misting of hydrating spray and then a misting of makeup sealer. Why? It's like hairspray for the face. You'll look and stay fresh the entire day. Pack a little hydrating mist and some blotting papers in your touch up bag to freshen up if you need to. Wear these tips in good health and have an amazing wedding day! Georgia Spyra is an accredited, award-winning makeup artist with over 16 years experience in the beauty industry. She was voted one of Canada's top-20 makeup artists and one of Canada's Top-5 bridal makeup artists; she was featured in Elle Magazine as top Canadian make up and beauty expert. She is a make over artist for Life Network Platform; a make up artist/educator for Canadian Make Up Show and Kryolan Cosmetics; as well as a make up designer for many fashion shows, music videos and Television shows, like CBC News and Relic Hunter. "We would like to enthusiastically welcome Georgia to BRIDE.ca. We look forward to her monthly beauty wisdom in Georgeous by Georgia. Next month: How to Get The Perfect Brow"..